Ray Rice has more company on the sidelines. Police arrested another NFL running back on domestic violence charges on Wednesday. 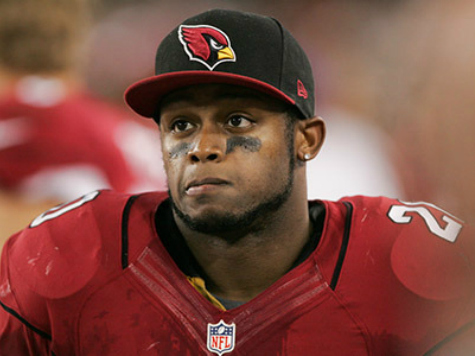 The Arizona Cardinals deactivated running back Jonathan Dwyer after his arrest for aggravated assault and other charges. The allegations stem from two alleged incidents involving Dwyer’s former girlfriend and their 18-month-old child in July. Dwyer denies assaulting either the mother or the child. The allegation contends that Dwyer threw a shoe at his son. The woman, who denied Dwyer’s presence in the home when police arrived after a reported disturbance in July, brought the information to Phoenix police last week. The former Steeler has carried the ball 16 times for 51 yards in two games this season for Arizona.